GAUSS applications are a set of files that need to be placed in the /src, /lib and /examples directory from your GAUSSHOME directory. To install an application, you simply need to extract them to your GAUSSHOME directory. Internally the application zip file has the same file hierarchy as the GAUSS directory structure and so all files will automatically go to the right place. Open the windows file explorer and browse to the location to which you have downloaded your application. Right-click the application file and select Extract All...from the context menu. 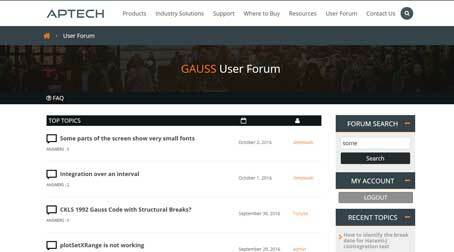 Browse to the your GAUSS home directory. By default this will be C:\gauss12. Then press the OK button at the bottom of the window. If your GAUSS version is other than 12, the folder will end with that version number instead. Windows will warn you that some of the folders already exist. This is correct. Click the Yes button. Your application module is now installed. To open the Application, select File > Open and select the lib folder. Under the lib folder is the Application library you just installed along with other libraries previously installed. Select the Application library, such as mlmt.lcg, and press the OK button. For Linux, please replace /Users/YourUserName/gauss11/ with the path where GAUSS is installed. Can't Open File: When running an example that came with the application, an error appears stating "Can't open <filename>". This is because some of the application examples come with sample data files. You need to change your working directory to be in the examples directory to run these examples. The examples directory will inside of the GAUSS home directory, for example C:\gauss12\examples. Library not found G0290: When running an example or your own code that uses the application an error appears stating "Library not found G0290". This means that the library file (which ends with an .lcg extension) is not in the correct folder. Most likely the application has not been installed, or has been installed to the wrong directory. If you have more than one version of GAUSS on your computer, it may have been installed to the home folder of one of the other GAUSS installations.